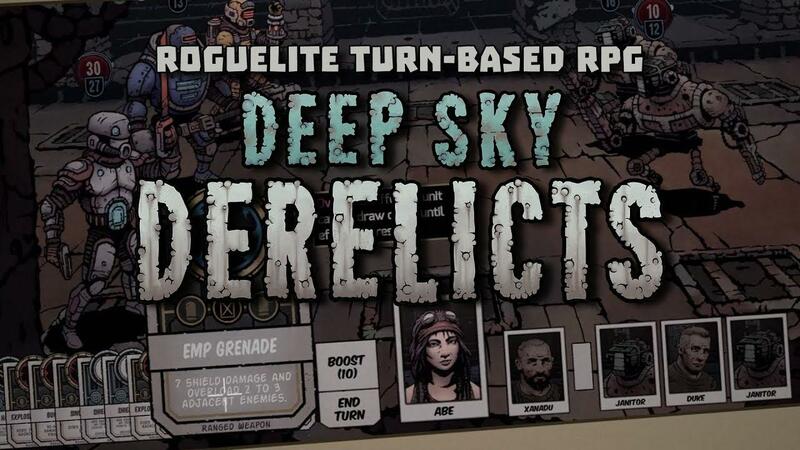 Deep Sky Derelicts is a pretty great looking dark turn-based RPG from Snowhound Games and 1C Company. They've announced that it's going to leave Early Access on September 26th, which is when the Linux version will also become available. We should be getting a key to take a look, so expect our thoughts at release. Looks like a pretty interesting mix, with an art style that certainly reminds me of Darkest Dungeon with a more sci-fi setting which has me excited. You can follow it on GOG and Steam. Combat looks interesting. I'm not so sure about the exploration... hopefully there's more to it than what the trailer indicates. Looks really cool, I love card rogue likes (got totally hooked on Slay the Spire) so I am looking forward to the review of this one! darkest dungeon merged with space hulk ? I don't know. I've wishlisted the game at some point, but not so sure any more. I'll check the further reviews. I love the art style and think I might like the game. Having a EA version and releasing a Linux version on release only seems... weird. I believe it when I see it. This game looks appealing to me too. Sci-fi setting with similarities to Slay The Spire, Darkest Dungeon, and other turn-based titles. I'll be watching out for the imminent release.